Please note each booking is for one person and there will be a maximum of two in your class. 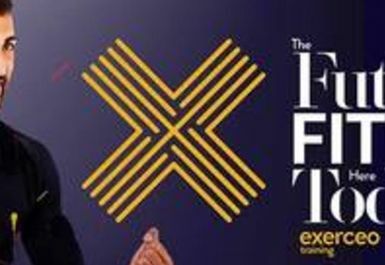 Exerceo Training exercises your body using state of the art electric muscle stimulation technology. Their training sessions will help you reach your target body shape, in as little time and effort as possible. 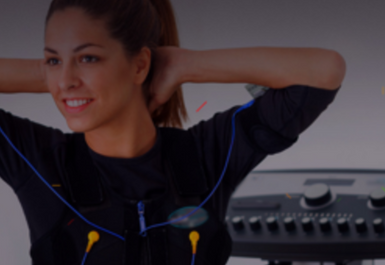 EMS stands for ‘Electro Muscle Stimulation’, a full body training exercise using impulse current. During traditional exercise, the brain sends signals to the muscles to bring about contractions. 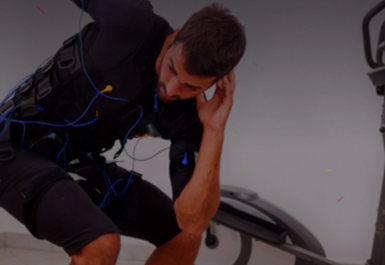 EMS mimics the action of the central nervous system, activating muscles in the same way, but using external impulses. These are delivered via electrodes onto the skin directly above the muscles. The impulses reach deep muscle layers which are hard to activate through conventional training. Your muscles will not tell the difference, but work out much more effectively. The electrical current is low impulse and completely safe. Whilst the sessions can be intense, the actual feeling of the current is gentle and non-invasive. Trainers will be on hand to tailor your routine so you won’t be stretched beyond your personal capabilities. This is the most sophisticated form of exercise equipment currently available and it gives you a full body workout in just 25 minutes. Electro Muscle Stimulation if the future of training. Exerceo Training is located at number 7 on Toynbee Street (Black building). Liverpool Street Station is nearby so you can easily reach it by tube or train.